Two new versions of the Predator – the U.S. Army MQ-1C ‘Gray Eagle’ and the Air Forces’ MQ-9′ Reaper, both from General Atomics, are changing the way the U.S. military addresses drone warfare. 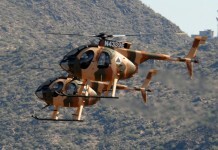 Both aircraft are designed from baseline for armed missions and capable in carrying more than the Predator’s two weapons. They can also carry multiple sensors, enabling the weapon’s operation to take place in parallel to other tasks. The Reaper is configured as a true multi-mission aircraft. In addition to a load of multiple Hellfire missiles, the Reaper can also carry three types of ‘free fall’ guided weapons – homing in on their target at high precision by laser guidance Global Positioning Satellite (GPS). 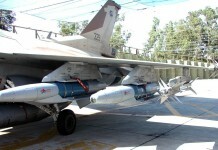 These include the Joint Direct Attack Munition (JDAM) used by the larger drones, or the Small Diameter Bomb (SDB). 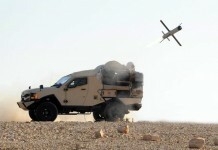 Even smaller weapons can be employed by the Predator and Gray Eagle, including the Viper Strike from Northrop Grumman or Small Air Bomb Extended Range (SABER) from MBDA. Both employ GPS-assisted laser-homing capability, turning it into a ‘glide weapon’, thus eliminating the signature of the weapon being launched. 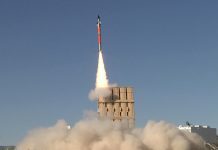 SABER can also be configured with rocket propulsion to cover even longer ranges. Both weapons employ dual-mode warhead, using blast-fragmentation or anti-armor shaped charge, for reduced risk in collateral damage. The GPS/INS segment is used for mid-course navigation, enabling the weapon to perform ‘off-axis’ turns, regardless to the direction it is launched at. When active laser designation is available, by remote element or the platform’s EO payload, semi-active laser seeking can also be used for the terminal phase, further increasing attack precision and effect. An alternative seeker employing TV/IR sensor with data-link communications enabling ‘man in the loop’ control is currently under development. The Gray Eagle can carry four Hellfire missiles, optimized with minimal rocket signature and a wider launch envelope. 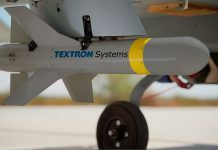 The typical range of such weapons and their all-aspect attack mode make them particularly suitable for use on UAVs, eliminating the need to preposition the UAV in a straight line with the target for launching. The new version of the Hellfire designated AGM-114R was developed by Lockheed Martin to meet specific requirements for unmanned operations. 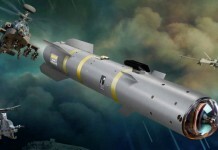 The new missile incorporates a ‘multi-purpose’ warhead, enabling a single missile to engage target sets, currently covered by four different types of laser-guided Hellfire variants. 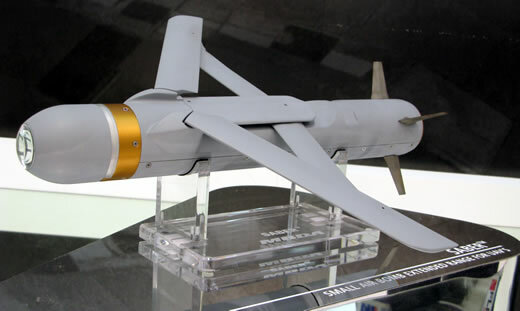 Utilizing an integral inertial measurement unit, the AGM-114R can be launched at high aspect ratio, considerably shortening the firing preparation process. 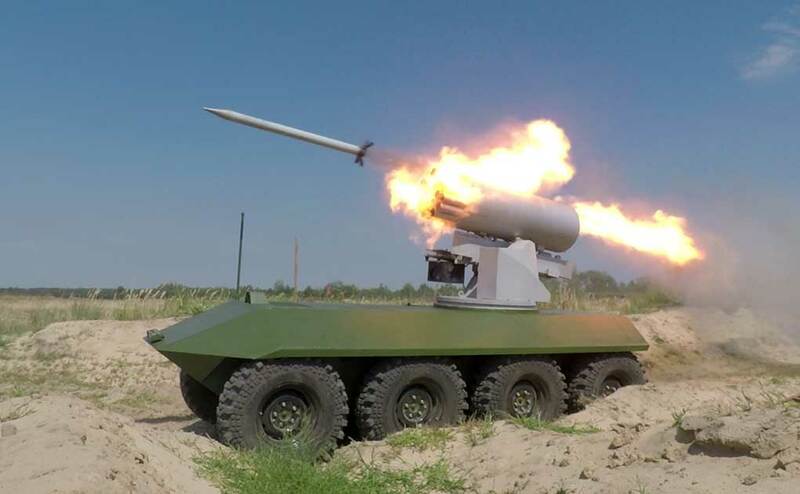 Other modifications have dealt with the weapon’s obsolescence, by replacing hardware circuits with software controlled functions, thus reducing the missile’s weight and improving its reliability. While laser guidance provides weapons with precision and lethality, it also has inherent limitations, being susceptible to interference, countermeasures or error under certain operational conditions. Furthermore, target designation by laser is far from being a trivial task. The process requires considerable and continues coordination, with the entire process constantly prone to human and technical error. The use of a dual-mode seeker, combining electro-optical (EO) and laser/GPS can overcome such limitations, at a price. In the US, two teams are competing for the future production of such missiles, known as Joint air to Ground Missile (JAGM), which are already in development, but these are expected to be fielded primarily with manned platforms – Apache helicopters, and Super Hornets. For the smaller weapons electro-optical (EO) guidance has sofar been considered a costly option reserved only for special missions. But state-of-the-art commercial off the shelf technology opens new capabilities for EO seekers. Dual-mode guidance utilizing imaging sensor as laser seekers has the potential to revolutionize laser guidance, by introducing low cost, light-weight yet highly accurate means for target acquisition and weapon guidance. Current laser designators employ pulse lasers to generate high-power laser beams. A new type of laser designator is employing low-power laser diodes to generate Continuous Wave (CW) beams, operating at relatively low power levels and available for much lower cost. The new method, patented by an Israeli start-up company Shilat Optronics employs ultra-small components that can be used at the lower echelon, for target acquisition and designation. On the weapon’s end, enhanced imaging sensors are used instead of the standard four quadrant laser detectors. These cameras are modified to detect and identify targets marked by specific CW or pulsed lasers. Employing variable gain to compensate for over exposure to specific frequencies, the new seeker overcomes the inherent limitation of current laser-homing seekers being saturated at the terminal phase of their flight. The new designator/seeker combination offered by Shilat is packable into a small form factor, embedded into standard thermal, or optical binoculars used by the warfighter and into small guided weapons supporting the lowest echelons. Weaponization of small UAVs is discussed in the next part in this series.